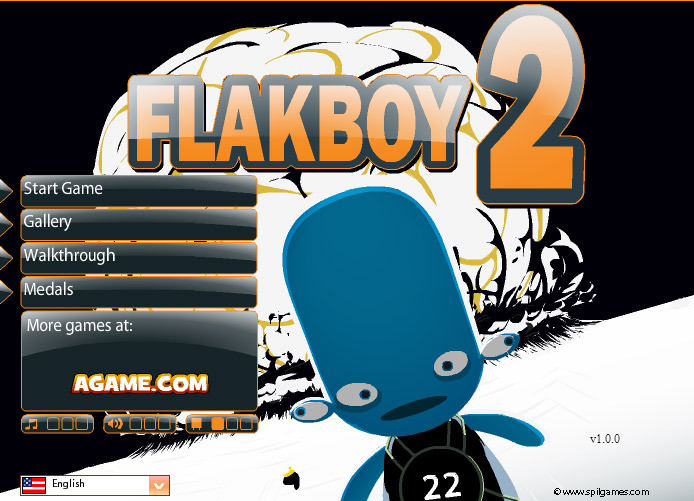 Flakboy 2 is a sequel of Flak boy which has even more puzzles, challenges, weapons and much more features and specialty to the game. The blue alien is ready to be thrown around, knocked airborne, spun slammed, burned, skinned and face more suffering. Similar to Flak boy, Flakboy 2 requires the players to build strategies and set the traps or weapons in accurate position in order to win the game. Normal Mode:Similar to Flakboy, the objective in normal mode is to put the alien through as much suffering as possible to achieve a certain amount of point which varies in each level. Depending on the amount of money spent on weapons and the additional damage dealt to the alien, the profit is determined, which determines the budget for the next game. There are seven levels in normal mode with additional tutorial level, and the upgrades of the weapons are progressively unlocked. There are no changes in the setup of the stage in any level, only the upgrades of weapons available and the budget is the only change in this mode. 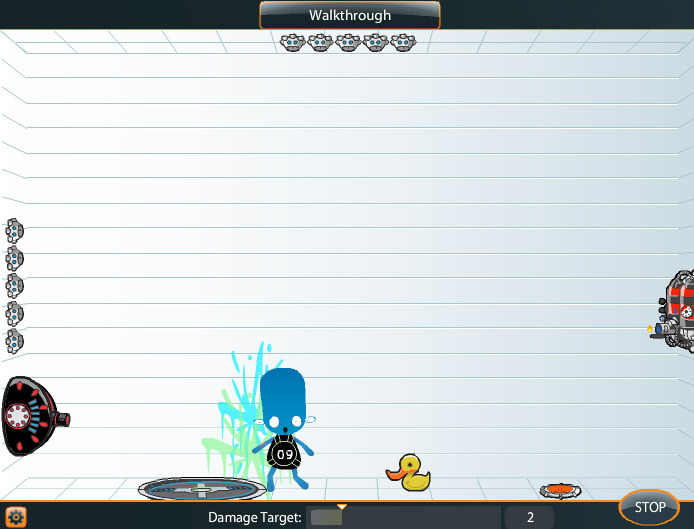 Challenge Mode: This is a new feature that is made available in Flakboy 2, the game mode is not unlocked until the player completes all the levels in normal mode, in this mode there are no budget limit and/or any target damage that has to be reached to win the game, the objective of this mode is to get Flakboyto the right place or places. There are two types of gameplay mode within the challenge mode, each of these two modes consist of three stages or levels excluding tutorial levels. Unlike normal mode, there are some changes in the stage setup that takes place in each level. The two levels have similar but different objective. 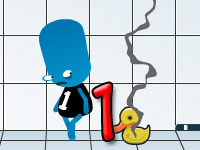 Marksman: Each of the levels consist of a target marking, where the player must make Flakboy land on. Flakgolf: The levels contain three markings in different positions, which are needed to be passed through by Flakboy in the right order to proceed to the next challenge. Sandbox Mode:Another addition to the Flakboy game made in Flakboy 2 is sandbox mode which lets the players play as long as there are no objective in this game mode. You may choose any weapon as everything is unlocked and do not have any cost. The sandbox mode is not available in the game until the rest of the game modes are completed. Slow Mine 4 – A land mine which is activated on contact and explodes after a certain time. Foot Blaster – A land mine that explodes when stepped on. Wall Gunner – A gun that can be place in any of the walls, the upgrades provide the ability to place the gun on the ceiling as well. 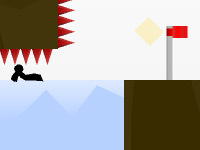 BouncingBoy 66 – A small platform, which when landed on, springs up and knocks Flakboy away. Pokingmon Lite – Hidden spikes which activates when the target comes in range. Sparky – A flame thrower which hurls flames when a target is in range. 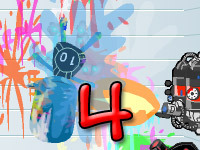 There are extra background for the stages and also a gallery which consist of special animation and pictures which can be unlocked in the game.